in your home look amazing! We are proud to say that as trendy as some countertops are, they can play out making homeowners and business owners look for something more timeless, beautiful and enduring. Well, that’s what we all about—making you satisfied for years to come with the stones we install in your home. One of those stones that will keep you satisfied and make you glad you chose us is quartz. Quartz is an ageless stone that is mined in Brazil, Mexico, and Uruguay and even in Russia and Morocco. It’s a timeless stone dating back centuries. It also comes in colors, which makes it desirable for homeowners with unique tastes. Our design team will help you create something you will love and enjoy for years to come. 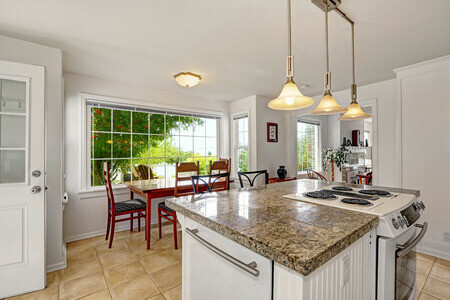 Quartz countertops are just as strong as granite but have the added benefit of being more flexible. This makes them easier to work with during the installation process. 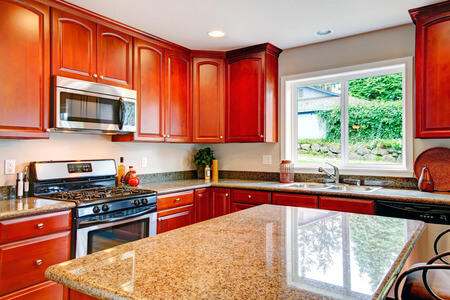 Quartz is non-porous and does not require any sealing – ever. These stones offer a virtually no-maintenance material solution for countertops. These counters are also very durable. They are stain-resistant as well so dropping a glass of wine on them simply requires a quick cleanup. 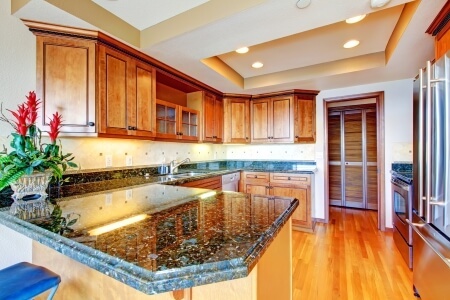 These countertops need to be professionally installed and quartz is even heavier than granite. If you’re concerned about seams, then quartz is the best choice for your countertops; because the seams are easier to hide when you choose quartz as the counter has been colored and manufactured. If you buy a quartz countertop in a solid color. 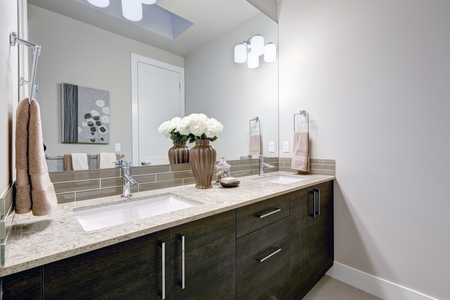 Quartz is the perfect choice for your kitchen or bathroom countertops or any other surface. So, if you’re looking for something different for your home’s countertops and if you’re looking for great pricing to go with it you’ve got to visit our 22,000 square foot Troy, MI showroom. We are open six days a week from 9:00 a.m. – 5:00 p.m. on Monday, Tuesday, Thursday, and Friday. On Wednesdays, we are open until 6:00 p.m. and we are open on Saturdays from 10:00 a.m. until 1:00 p.m. 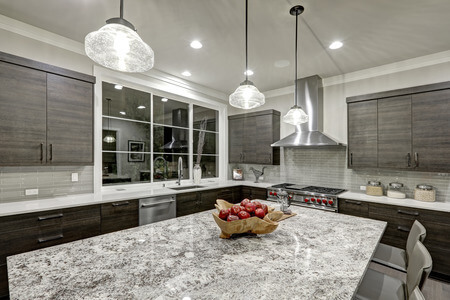 Yes, you are right that we have the best selection of quartz for you to choose from; and yes we’ll satisfy your needs with expert installation after we prepare your countertops with state of the art procedures. But it’s also true that when you choose us you’ll get the best prices and the most knowledgeable customer service. We’ll make you extremely glad you chose us. Visit our showroom today. You can call us, too, at 248.307.0832.